Comments: Cranston T. Kelly (Nee: ) | Exeter NE USA | 1901-1920 | Comments: Taken by my great aunt. I dont know how her family knew the Kelly family, as she lived in Havelock and they lived in Exeter. Info I found on the Kelly family: Walter Kelly b. 1879, Helen Kelly b. 1883, Cranston T. Kelly b. 1903, Ruth Kelly b. 1907, Edwin Kelly b. 1916. 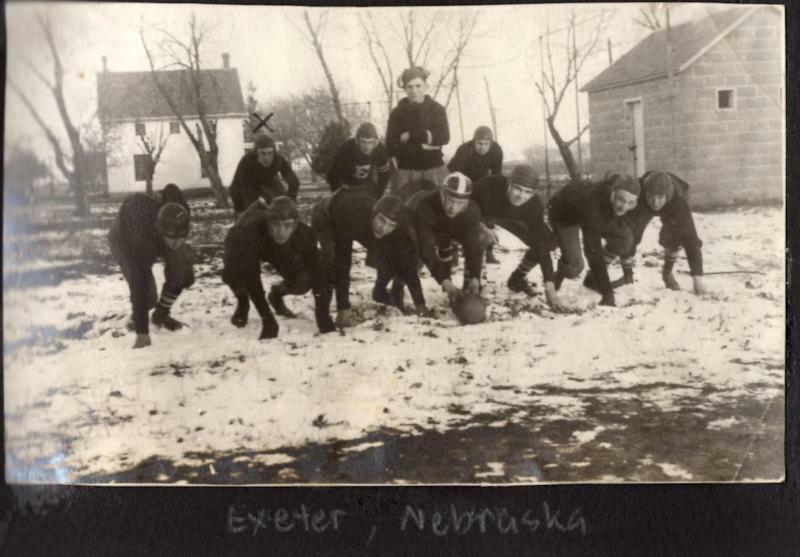 Lived on Seneca Street in Exeter, Nebraska during 1920 census. Walter was a Methodist minister. Cranston is the one in the pic with the X over him.